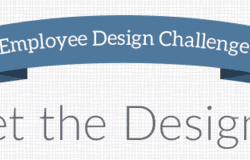 This is the fifth post in our series of staff projects created for the Spoonflower Staff Quilting Challenge. 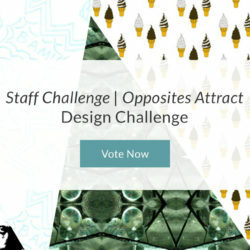 Voting on this contest opens Thursday, 3/14. From the beginning, our team set out to do the seemingly impossible: find a way to make a quilt cozier than it already is. We knew we didn't want to stray too far from something traditional, but we also really wanted to make something that wasn't just soft and pretty. 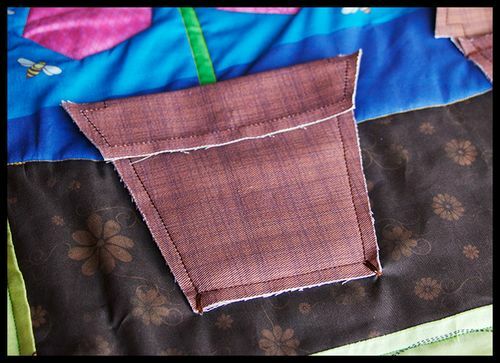 That's when Leah mentioned some sachets she'd made for her mom one Christmas, and how easy it would be to make a quilt with pockets for storing something similar. 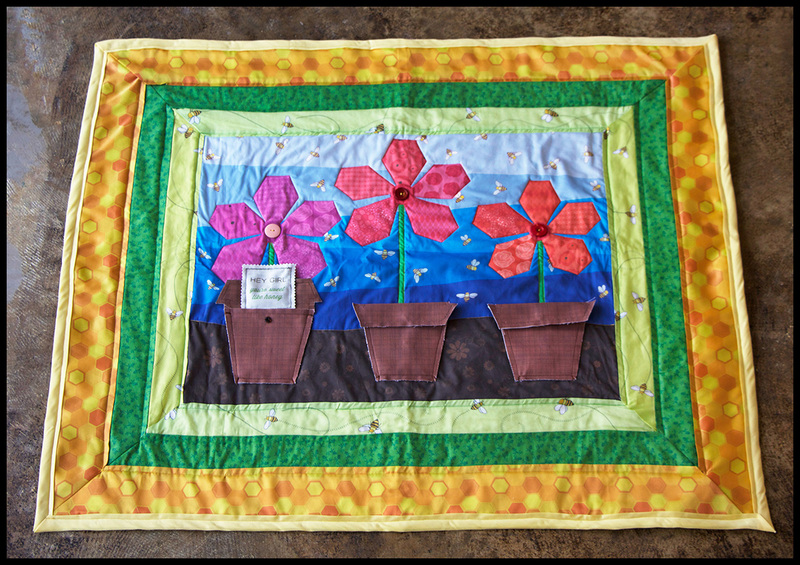 A quilt that looked, felt, and smelled nice? Caroline and I (Joey) were on board. 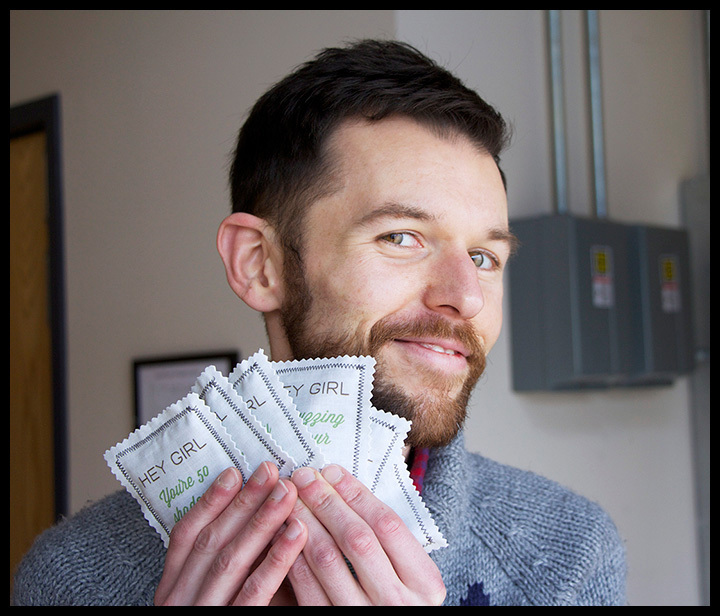 We knew we'd need a motif that would allow us to incorporate the sachets in a way that made sense. 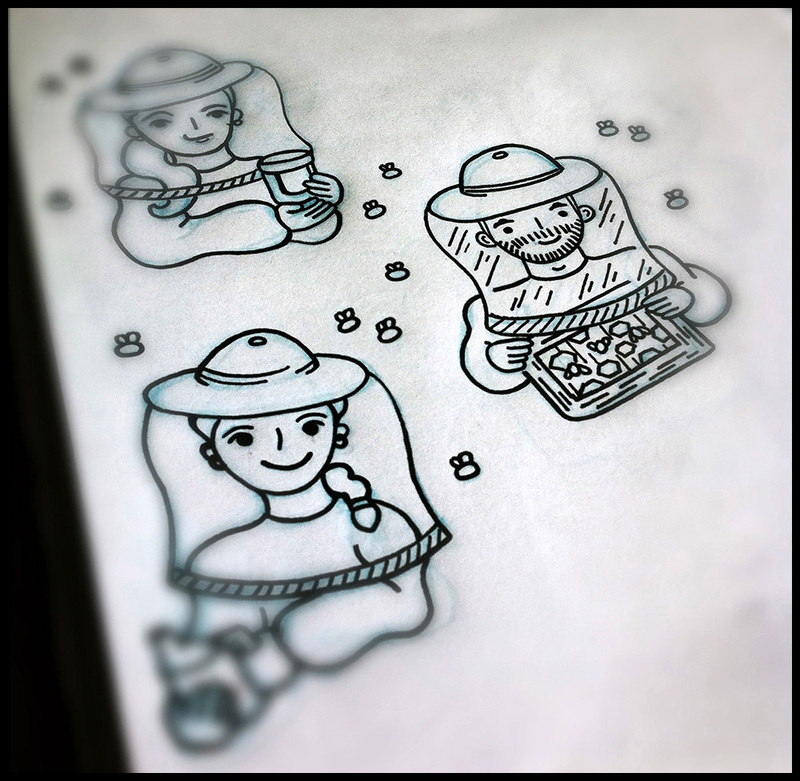 Naturally, we immediately thought of doing a floral, but we also wanted it to have a slightly narrative quality. What pretty much goes hand in hand with flowers? Honeybees! 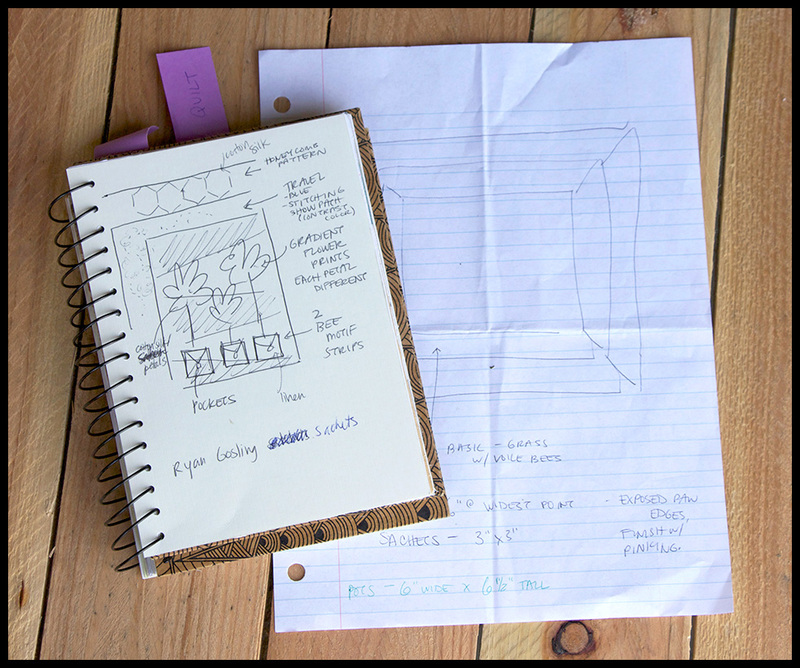 We quickly sketched out the layout and dimensions of the quilt and started thinking about which fabrics we wanted to use. 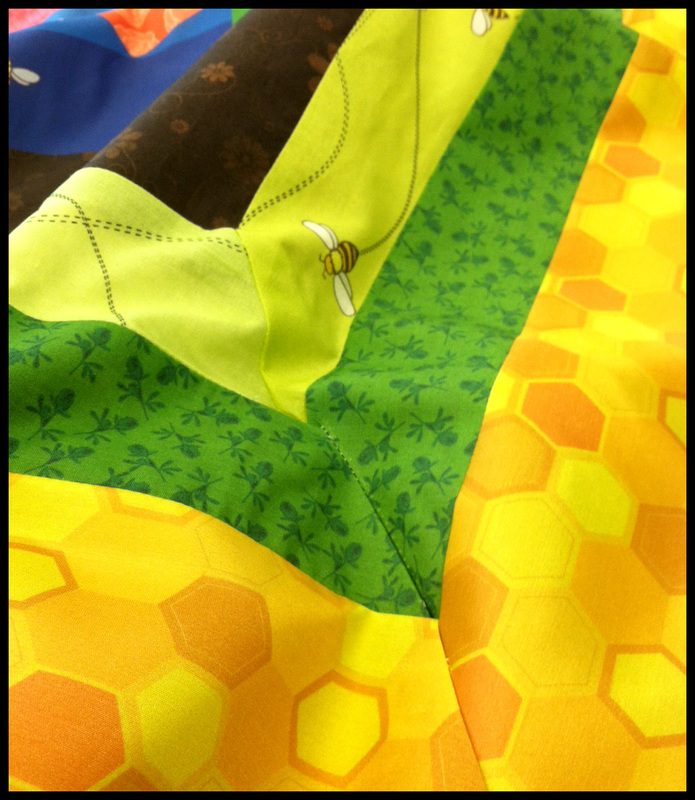 To keep it simple and to save time, we decided to do a lap quilt that would incorporate cheater elements. 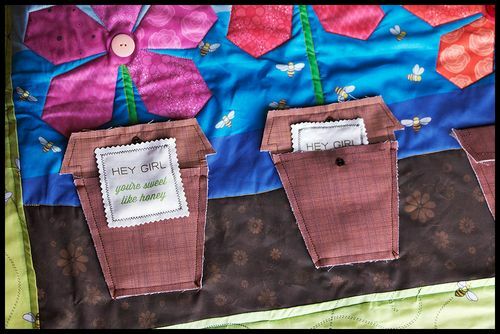 The main body of the quilt would feature flower pot "pockets" for storing the sachets. 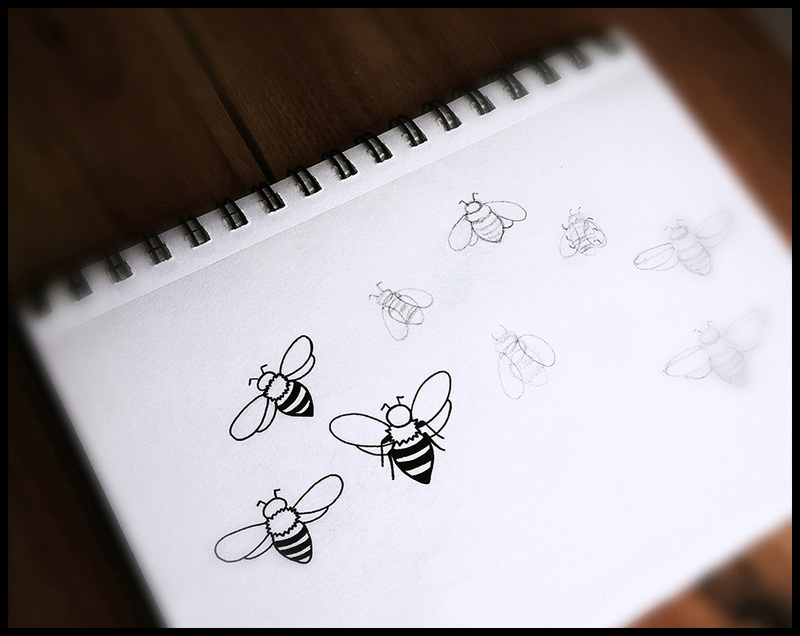 A series of concentric borders reflecting the narrative of the honeybees would provide additional color, contrast, and texture. 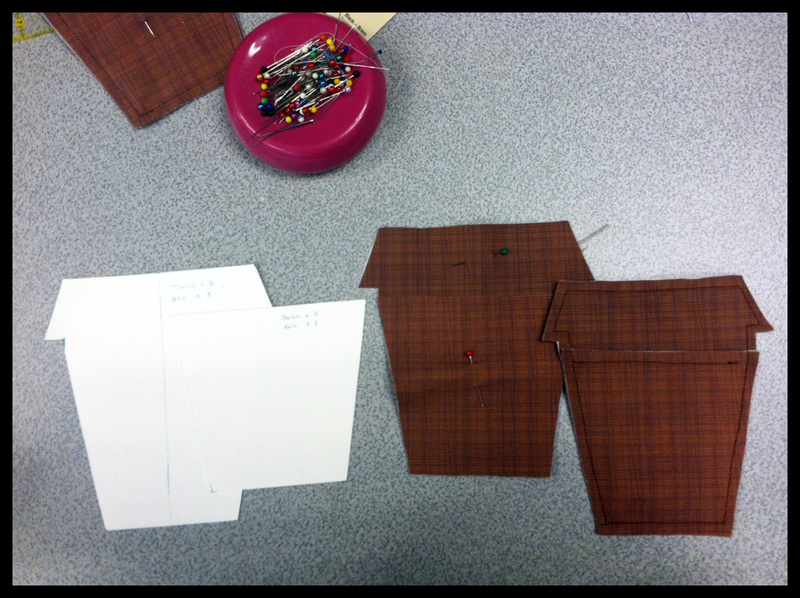 Caroline and Joey collaborated on each of the fabric designs. 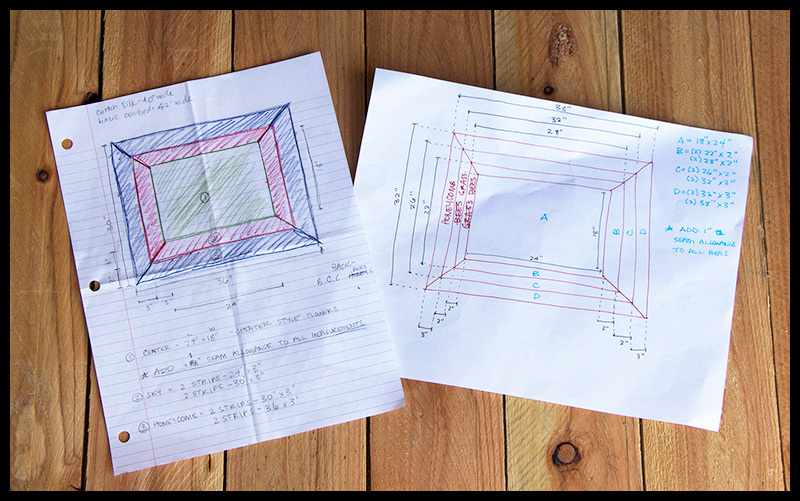 More about Joey's process of drawing by hand and coloring digitally in this instructional post. 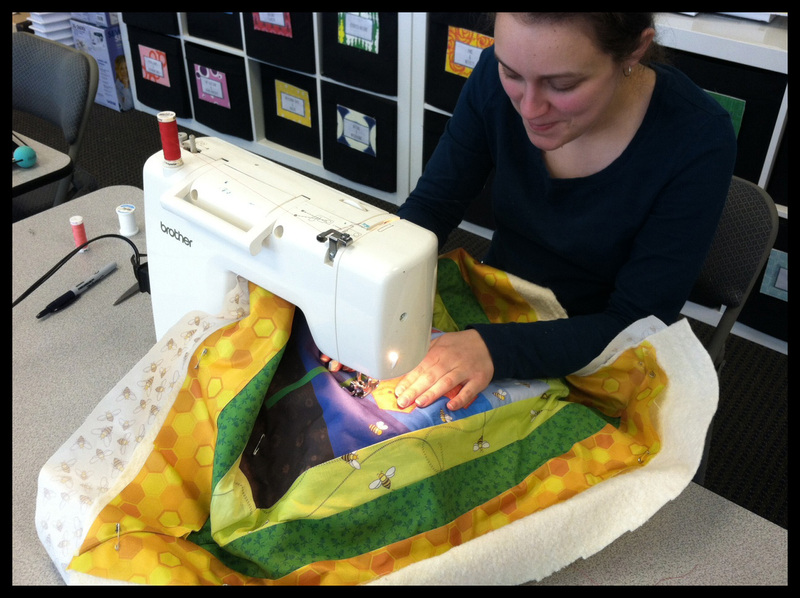 After the fabrics were printed, Leah began the process of quilt construction. This involved many calculations, some trial and error, and a couple of YouTube tutorial videos. 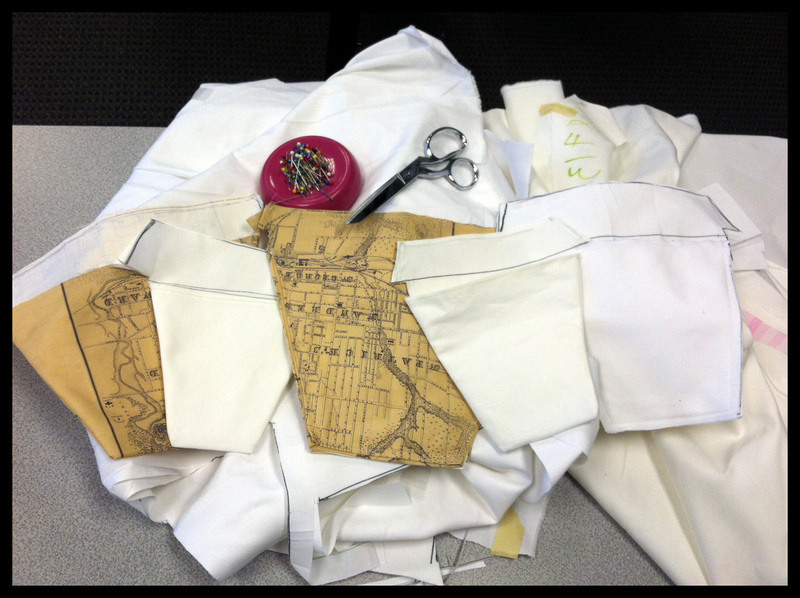 First, Leah attempted to tackle the pockets, which is where a majority of the trial and error took place. Several samples later, we had a successful flower pot sachet holder made from combed cotton and twill and which fastened with snaps. 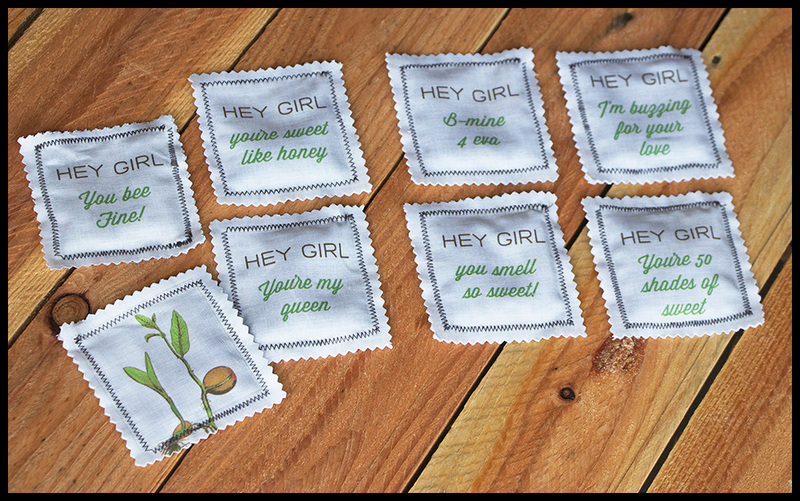 Caroline sewed these small scent sachets filled with lavender, lemon and patchouli herb bundles, while daydreaming about Ryan Gosling, hence the "Hey Girl…" quotes that tie back to bees and flowers! Since only the center portion of our quilt used the cheater style, the other border elements were pieced together with mitered corners. This allowed us to use a variety of fabrics including combed cotton, cotton voile, and a shiny cotton silk to mimic the sheen of honey. After all the pieces were sewn together, decorative stitching was used to highlight certain areas, such as the flowers. Now, as if this quilt wasn't cute enough already (!) 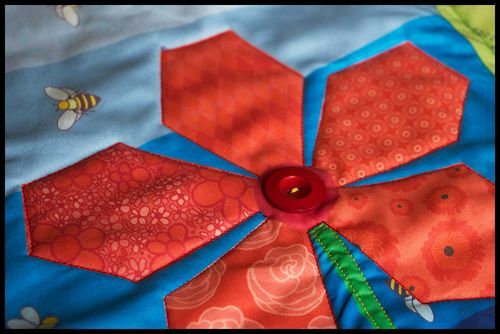 we added brightly colored buttons to the center of each flower. 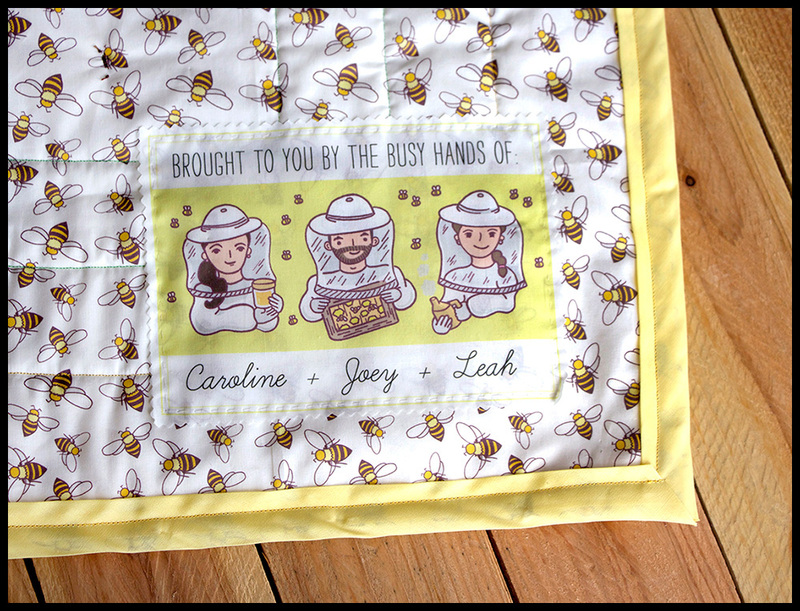 Finally, Joey created a likeness of each team member in beekeeper wear for our personalized quilt tag and designed a buzzy bee fabric for the back of our quilt. 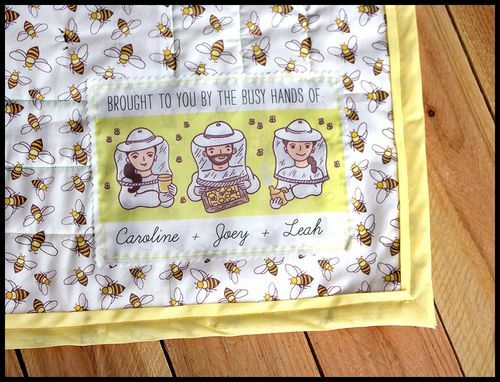 We are very happy with our quilt and plan to have tea with honey at the office, snuggling up with our bee-eautiful project! 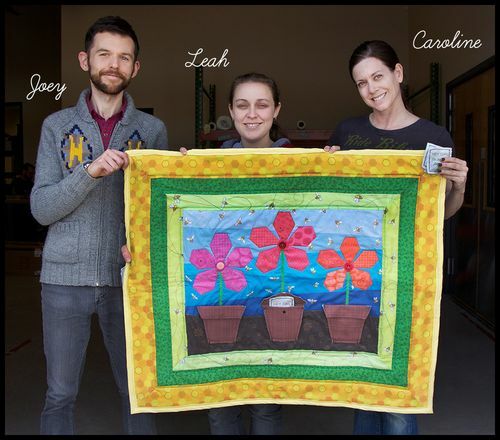 This quilt is all kinds of wonderful! Way to go, and does ‘Joey’ have a spoonflower account? Super cute illustrations! 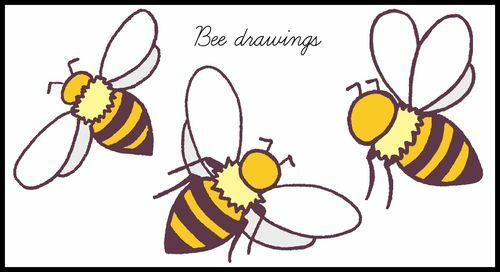 LOVE LOVE LOVE those bees! 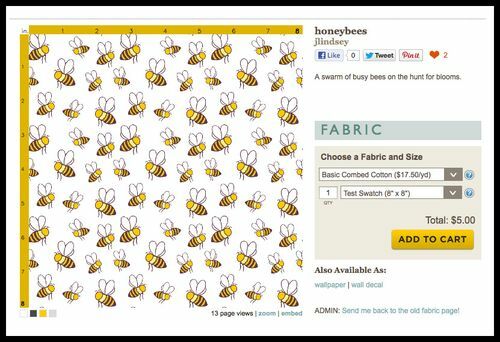 According to the screen capture below the photo of the sketchpad with bee drawings on it, Joey is jlindsey on Spoonflower. Gorgeous! Love the colors and the art. This is a very cute quilt.